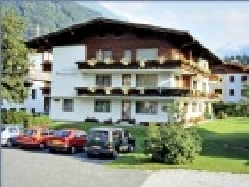 Welcome to our selection of holiday homes to rent in Austria. Austria is bordered by Germany and the Czech Republic to the north, Switzerland to the west, Slovakia and Hungary to the east and Italy and Slovenia to the south making it a landlocked country. German is the main language spoken in Austria with Slovene, Croatian, and Hungarian also spoken in the regions. The capital and largest city in Austria is Vienna with its historical buildings once home to the Habsburg court. The city was once surrounded by a wall which was demolished in the middle of the 19th century and on the cleared land known as the Ringstrasse many imposing buildings were built including the town hall, the university, the Parliament building and the State Opera House. Vienna is famed for its variety of public parks such as the Belvedere Park and the principal park, the Prater, situated on the banks of the Danube. The Imperial Summer Palace and zoo at Schonbrunn is Austria's most popular tourist attraction. The Spanish Riding School in Vienna has been in existence for over four hundred years and for anyone interested in equestrian activities it is an experience to take in a performance or even a practice session in this famous institution. Looking for self catering holiday accommodation in Austria? Then below is a selection of holiday villas in Austria and holiday apartments in Austria that can be rented direct from their owners. You can either click on each listing for further details or you can use our search engine on the left if you are looking for something in particular.